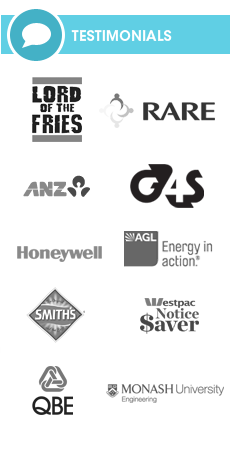 We supply a wide range of high-quality, personalised business apparel all over Australia for an affordable price, branded with your company’s unique logo or design. 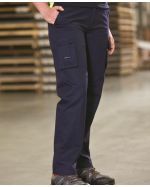 Bringing the perfect combination of professionalism, style and comfort directly to your office, our fantastic range of custom-branded pants and skirts is guaranteed to give your staff a clean, presentable appearance when it matters the most, boosting your brand image and helping you confidently showcase your corporate look in any situation. The importance of maintaining a formal business dress code cannot be stressed enough – as well projecting a professional image that upholds the trust of both clients and colleagues, formal wear has the ability to augment your staff’s morale, determination and pride and create a productive working environment for everyone in the office. 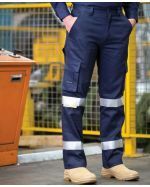 With an exceptional assortment of designs featured in our catalogue, it’s never been easier to select the customised business pants and skirts you need to suit your marketing needs and budget. 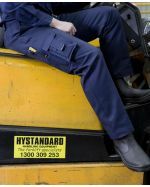 We stock our custom-printed business skirts and pants locally and brand them here in Australia so that you can expect consistently professional service, a rapid turnaround time and quick delivery to all states and territories. Give our friendly staff a call today to receive an affordable deal on our custom-branded business pants and skirts for your next conference or meeting, and have them promptly delivered to your location wherever you are in Australia. 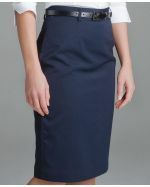 Why Use Custom Business Skirts and Pants? Whether your business is involved in retail, hospitality, finance, law, or almost any other industry, the need for a formal, polished look in the office or elsewhere is desirable and universal. What your employees wear can affect your company’s reputation, and ultimately shape the way your customers perceive your brand. 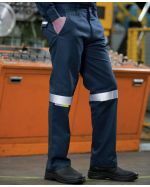 Our personalised business pants and skirts were specially designed to be modest, comfortable and high-quality, while helping you build an influential brand identity in the highly-competitive commercial industry. Employees who wear branded business clothing often find it much easier to develop relationships with the people around them, including colleagues, managers and customers, encouraging positive interaction and constructive communication throughout all channels. 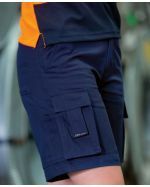 The team at Promo Planet remain the undeniable experts in Australia when it comes to printing or embroidering your custom brand onto this amazing range of business wear, and as always, we guarantee the quality of our work, so you can be confident to receive superior, customised corporate apparel whenever you order from us. 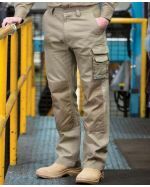 Manufactured from 100% natural cotton or a polyester-viscose gabardine blend (depending on the product you select), our custom-branded corporate wear is durable and long-lasting in rain or shine as well as being inexpensive to make, allowing us to offer you unbeatable prices. Spun from specially-chosen fabrics and manufactured to the highest standard possible using state-of-the-art technologies, we can print or embroider your custom logo on whichever area of the garment you desire. Help your brand gain the exposure it deserves and entice potential customers to your company time and time again, by implementing these customised business wear into your staff uniform. By using the latest techniques and technologies to imprint or embroider your unique design onto the garment of your choice, you can be confident that that your logo will genuinely stand out from the crowd and add some flair and individuality to your brand image. 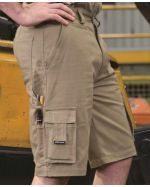 Whether you choose from our range of branded skirts, customised pants or cargo shorts, we stock the promotional workwear you require to give your employees a well-polished, sophisticated look, refine your business’s general appearance, and impress your valued clients and potential customers in any situation. 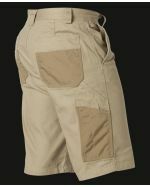 With the wide range of designs, styles and customisation options available, you can easily adapt these branded business skirts and pants to suit any kind of customer interaction, corporate event or business conference, and make a powerful, resounding impact on all parties involved.